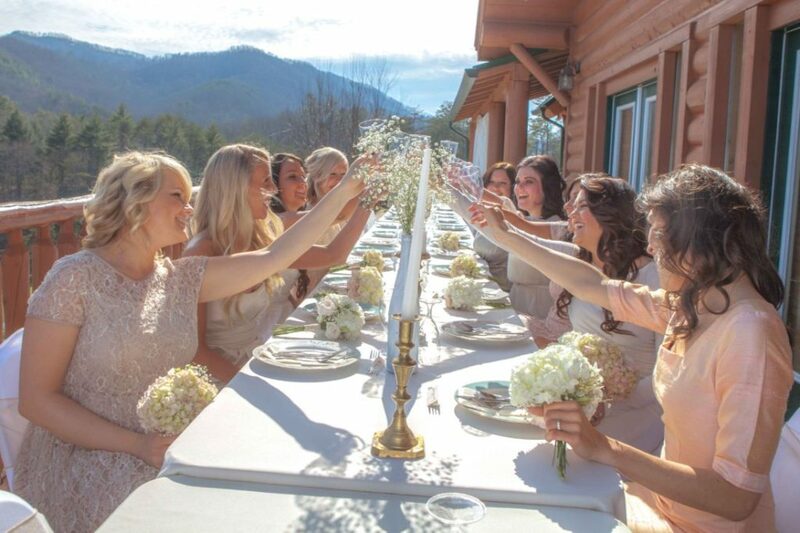 Experience the Pigeon Forge Destination Wedding Venue at Moose Hollow Lodge. We are the only Smoky Mountain resort that allows you to rent the entire resort for your own luxury wedding. Since two days isn’t usually enough, reserve this Pigeon Forge Wedding Chapel for three nights. 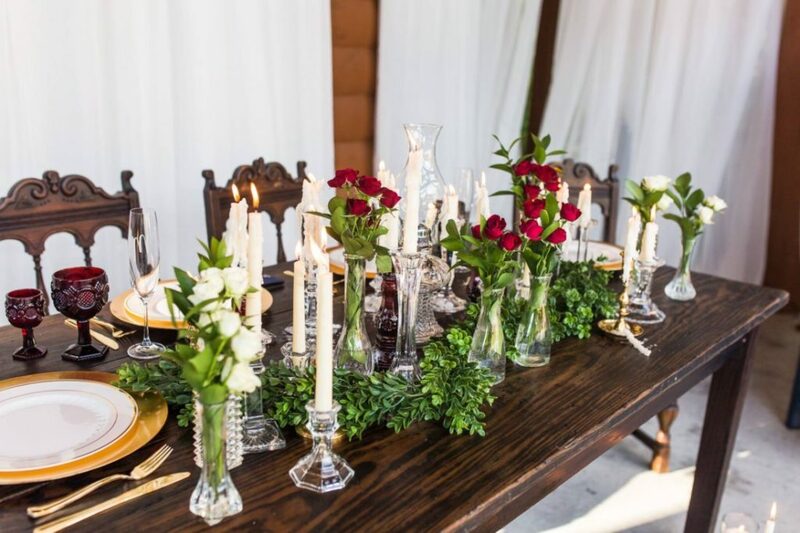 A three-day event will allow you to arrive a day early to decorate the wedding venue to suit your taste. Either use six 60” round tables and six 6-foot rectangle tables included 100% free with your rental or rent locally. Your wedding is the most important day of you and your partners life. 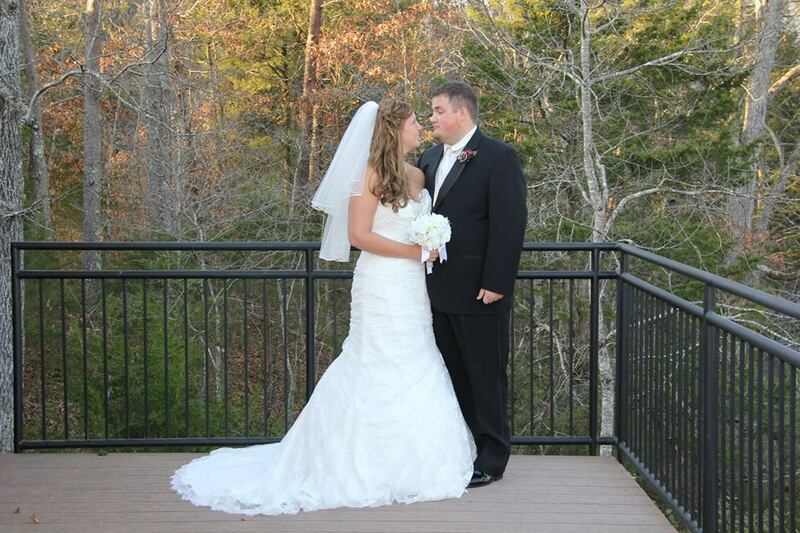 Let our luxury weddings venue in Pigeon Forge Tennessee make your day a perfect one. Finally get back to nature in this Pigeon Forge setting with a beautiful Smoky Mountain backdrop. 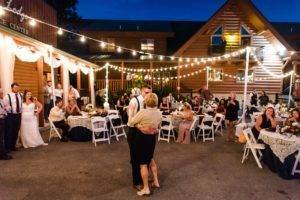 If you need a bunch of wedding ideas to aid you in your quest, have a look at Big Lodge Weddings and explore till your heart is content. 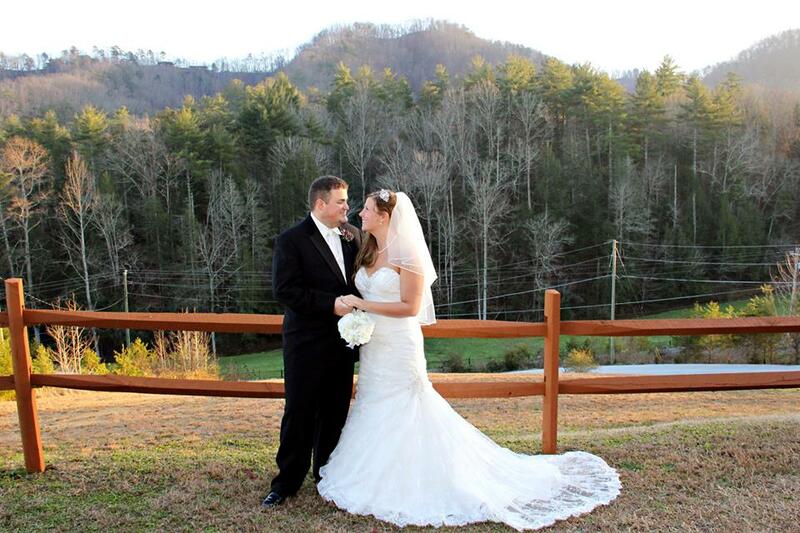 Our Luxury Pigeon Forge Tennessee wedding venue has almost limitless possibilities. Visit our local vendors page where we refer top area photographers, florists, caterers and entertainment venues for you to choose. All vendors work directly with you, there is no middle man or miscommunication of any details. 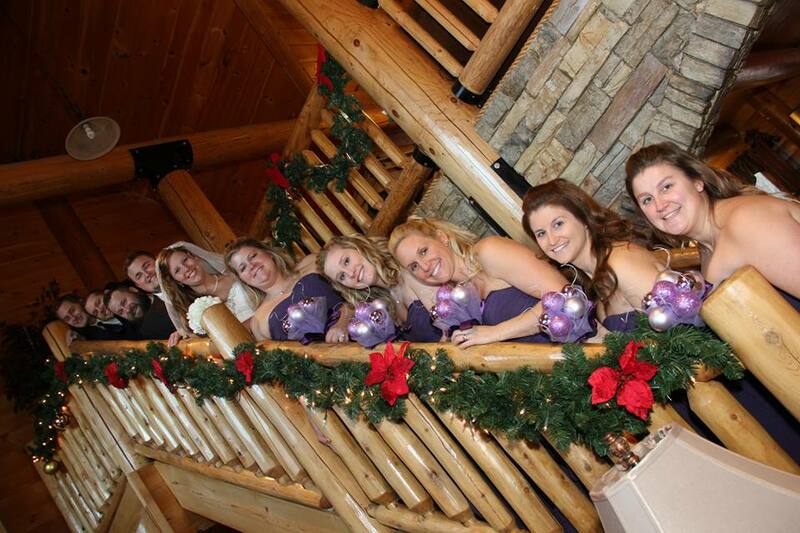 Let Moose Hollow Lodge host your magnificent Destination Wedding for you! 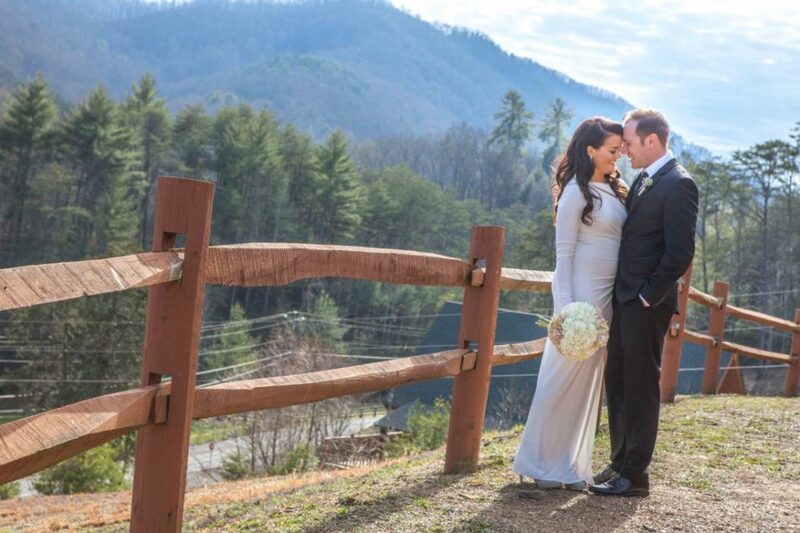 What will you see when you enter our Pigeon Forge Luxury Wedding venue? The beautiful two-toned hardwood floor with a center aisle is the first thing you will notice when entering the chapel. Your guests will sit on both sides of the isle leads to the tastefully decorated stained glass at the altar. 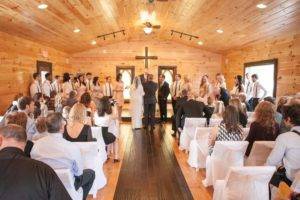 Located on Moose Hollow Lodge property, the chapel is rustic elegant decor to make your fairy tale wedding come true. 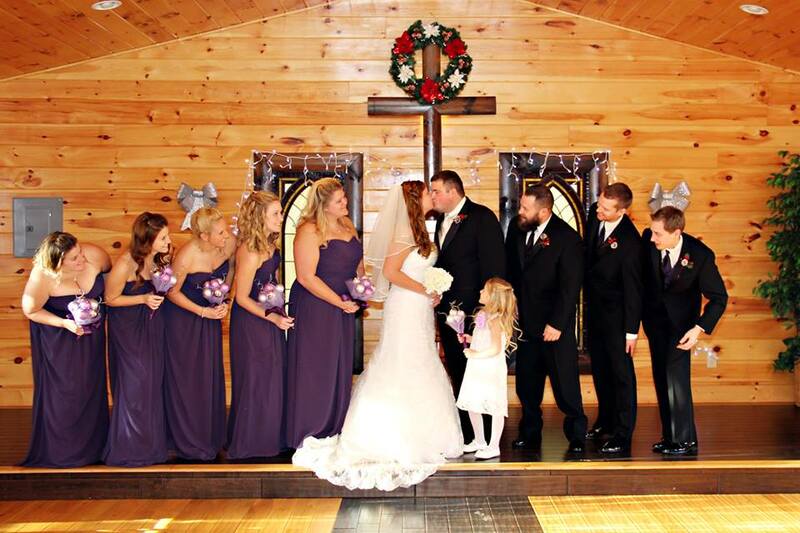 We have had 100’s of ceremonies in this wedding chapel and therefore many brides and grooms came down this aisle. It is a special place to share with your closest family and friends during the special time of your life. 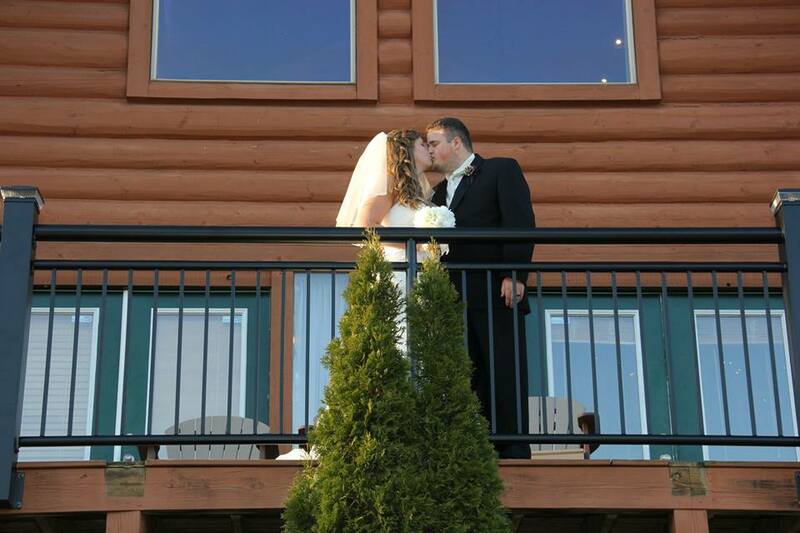 Consequently, we at Moose Hollow Lodge are here to make all your dreams come true. 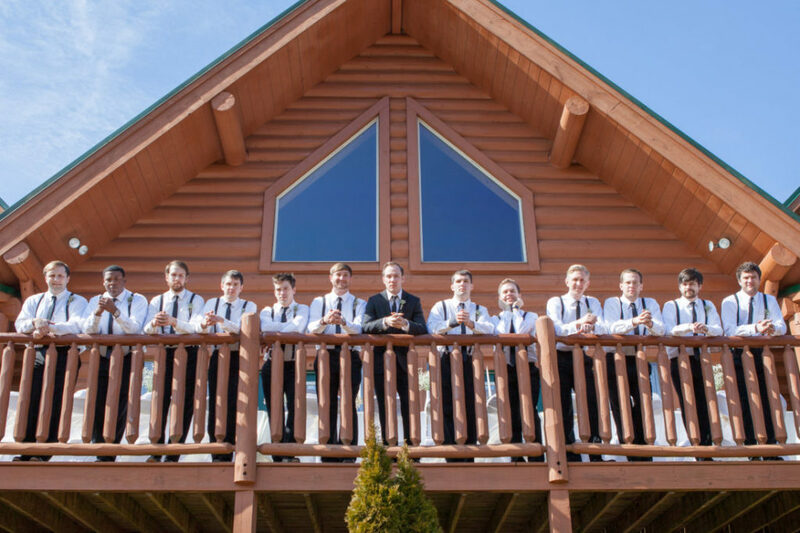 Moose Hollow Lodge is the perfect Pigeon Forge destination wedding venue. The lodge accommodates up to 56 guests with 9 bedrooms and 8.5 bathrooms. While two master bedrooms contain three king beds, four rooms have two queen beds and three rooms have bunk beds. Most of all, we keep your comfort in mind by designing and furnishing with the finest linen and mountain decor. Hence, if you are looking for a private setting with all the luxuries of home, then look no further. 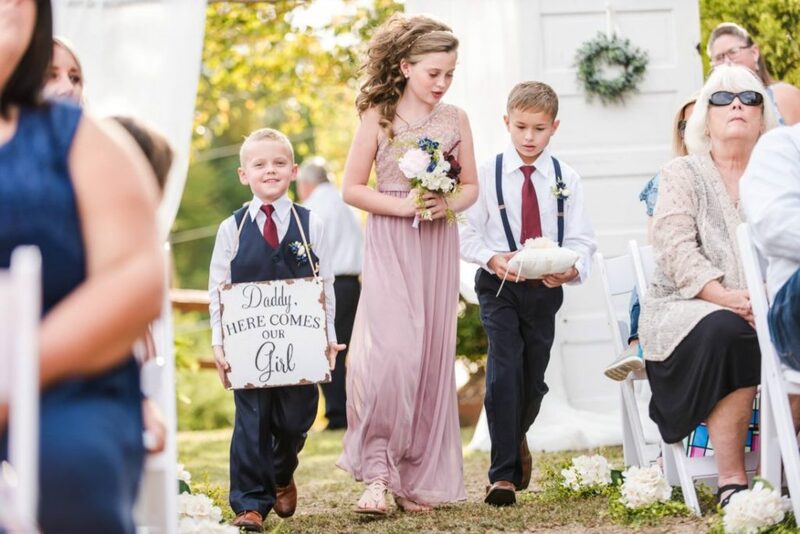 Luxury Weddings held in our Pigeon Forge destination wedding venue will enjoy the many amenities for all ages. Everyone will enjoy amenities such as 2 hot tubs, pool table, game room with an arcade, and air hockey. Finally, let’s not forget the large indoor swimming pool, 22 seat movie theater, card table, and much more. 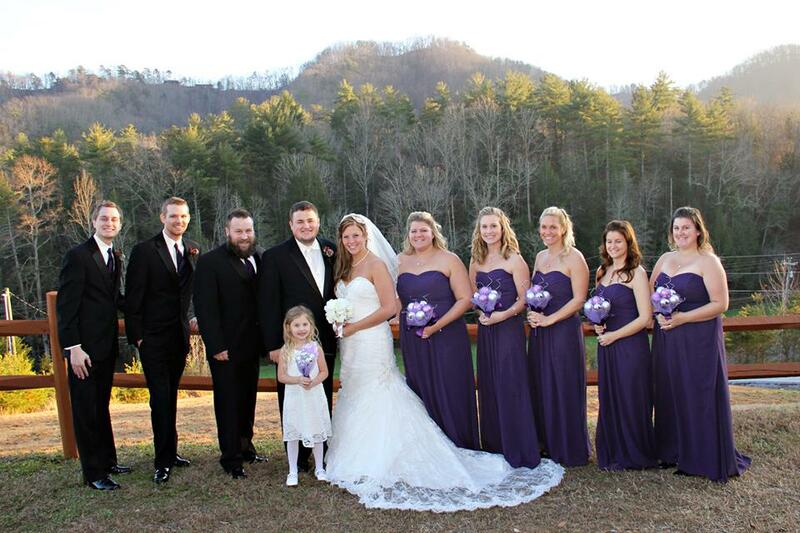 Our most noteworthy events are weddings because the Smoky Mountains is second to Las Vegas in for number of weddings. Because of the number of weddings performed, we have consequently perfected our wedding venue. Hence, whether you are planning an evening outdoor reception or a formal sit-down dinner inside, we can make it perfect. 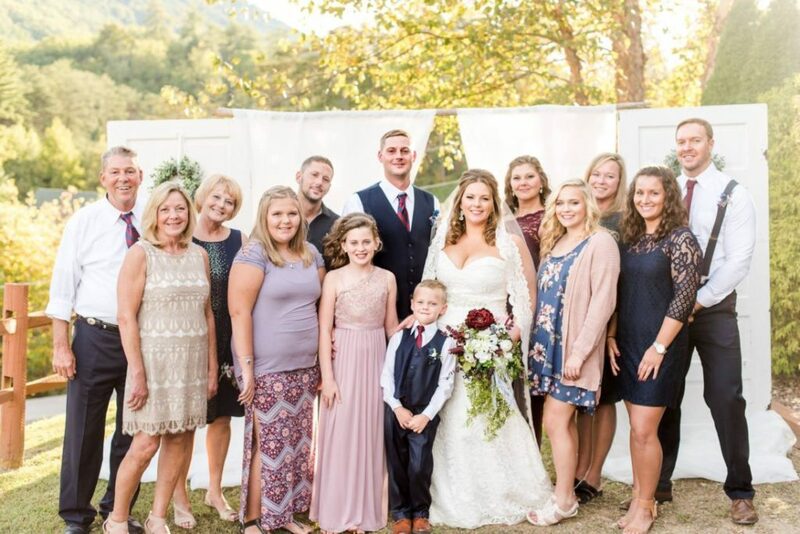 Feel free to view our videos and gallery to get an idea of the perfect mountain wedding of your dreams. We have plenty of room inside and outside so you can dance the night a way. 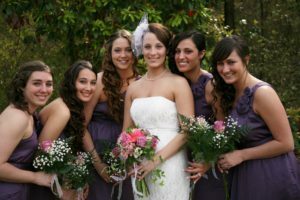 Furthermore, there is nothing short on entertainment at Moose Hollow Lodge when it comes to the wedding of your dreams. We can help you acquire a DJ, Live Entertainment or a complete Band at your request. Book your destination wedding venue now. It seems like there are so many options available to you for your wedding, there are! Since a great rehearsal dinner calls for superior food and your own personal chef; we recommend Fruitful Vintage . Therefore, we are your solution for the perfect wedding venue. We add a personal touch to every dining experience and aim to pamper you so you can enjoy your event. 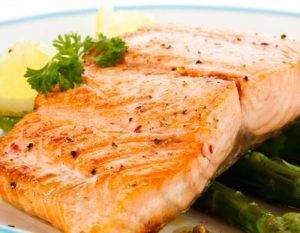 On-Site Personal Chef Services provided by our local vendors include: Formal Rehearsal Dinner Parties, Formals, Buffet style meals, appetizer receptions, fondue bridal shower parties and 5-star sit down wedding receptions. 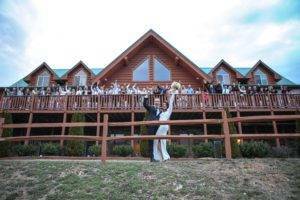 Start Planning Your Pigeon Forge Luxury Wedding Today! 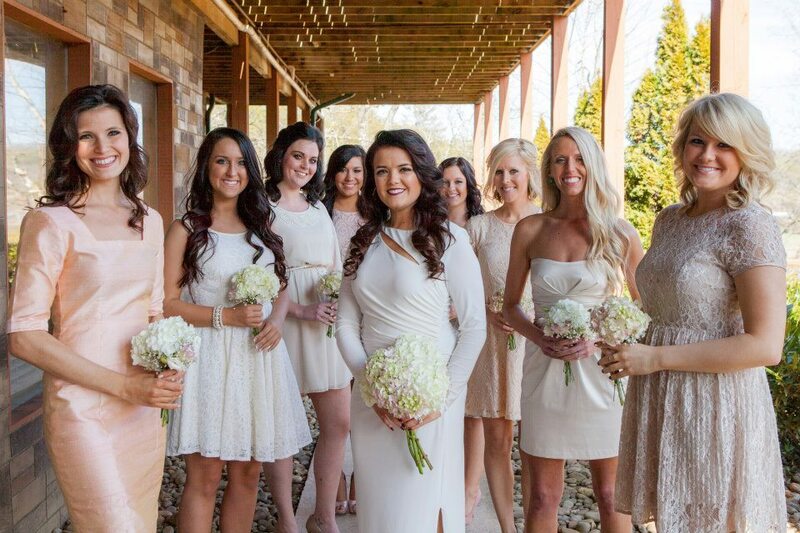 We have the Chapel, we have the Accommodations, we have the Party Plans! Contact us Today to Start Planning….